Kay Bojesen's premise in his work was a conviction that his objects should have life, blood and a heart. This is especially obvious in his beloved wooden animals, which have adorned children's bedrooms with smiles, taking children's dreams to far-flung lands. They stay with you from childhood into adulthood, and we call them classics because we would not want to be without them. And because they were made with love, imagination and intelligence. Kay Bojesen's friendly Bear with open arms was born in 1952. 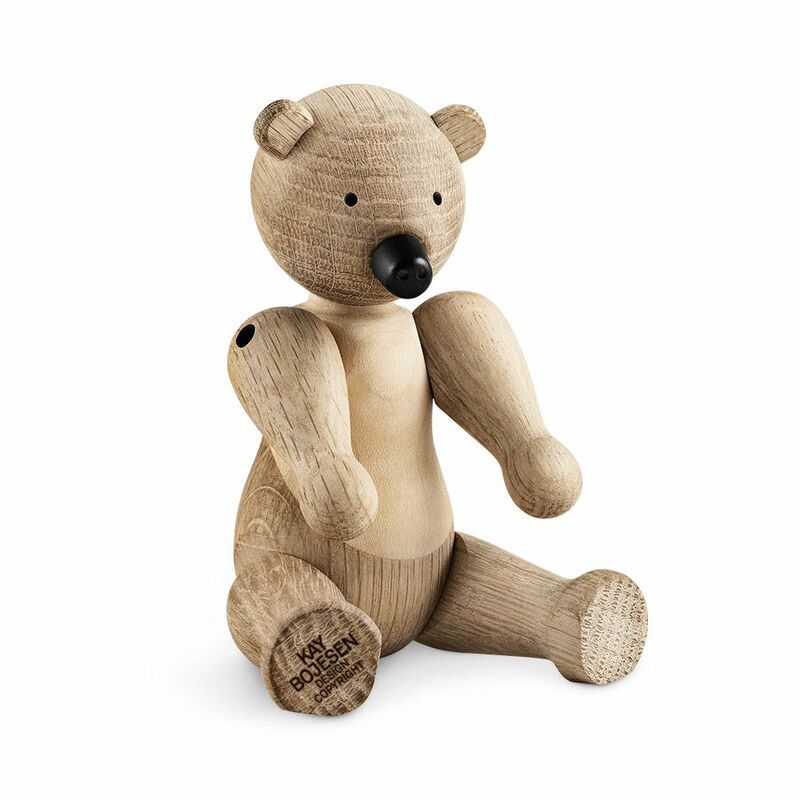 The range includes a wealth of imaginative wooden toys and has a very special appeal for both children and adults. notify you on arrival. Alternatively, contact us.